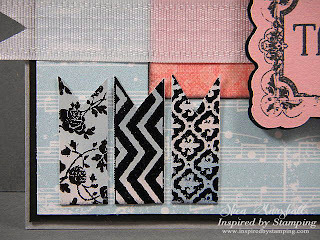 Today the Design Team for Inspired By Stamping is playing along with the sketch challenge over at Paper Secrets as IBS is again sponsoring the challenge this week. Check out the challenge to find out about the wonderful prize being offered! 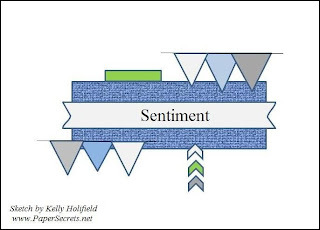 I love that it has lots of elements which allow for a lot of interpretations. I used the brand spankin' new just-released Christmas Digital Paper for my background. 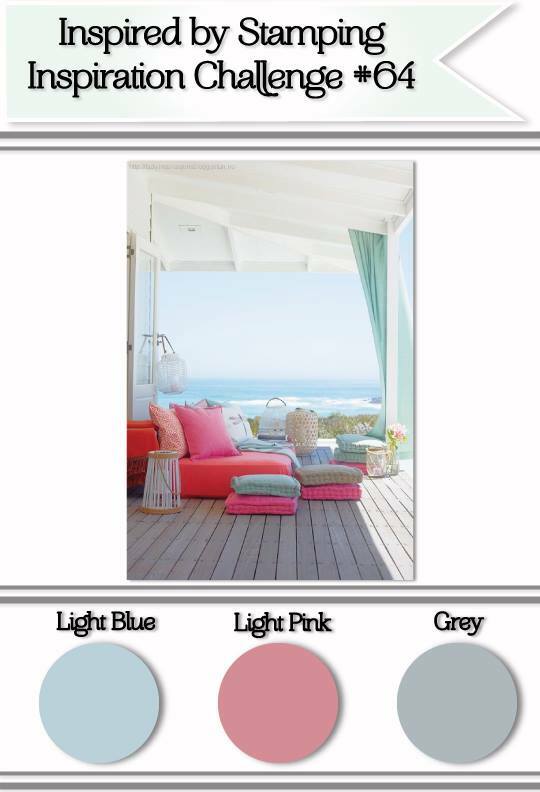 I LOVE this paper, and there is a different color included in the digital pack. I used scraps of pink solid and pink designer paper on top, then stamped the sentiment using a stamp from the Fancy Circles set in a frame from the Vintage Frames set. 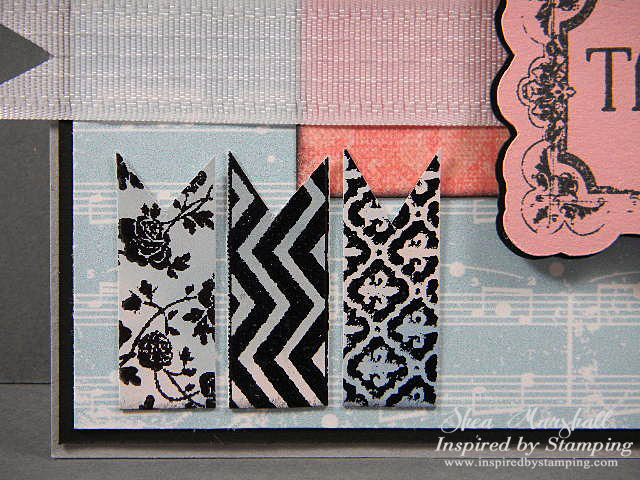 Joanna's stamps mix and mingle effortlessly, one of the many qualities I love about her stamp sets. The little flags were stamped with the Washi Tape set on glossy paper on which I had tried an interesting inking technique over a year ago. Turns out they fit the current IBS color challenge PERFECTLY as in the technique I used blue, gray and pink inks! 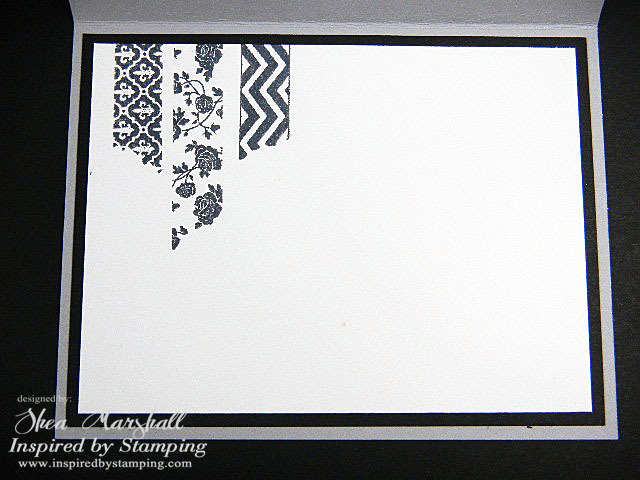 These Washi Tape stamps are so very useful and versatile. Of course the stamped image is longer but I cut them off to serve my purpose. 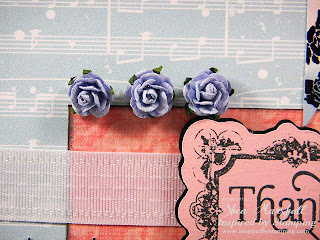 and the teensy little roses are from the IBS store as well. It's truly one-stop shopping. Oh, and I need to mention that the die cut and mat for the sentiment were cut on my Silhouette Cameo. 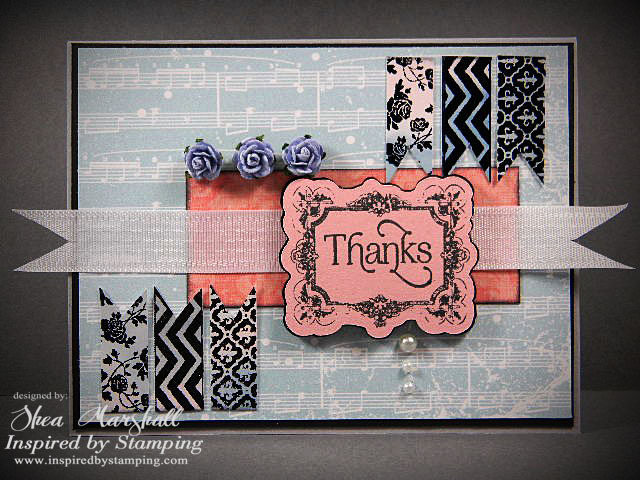 Joanna generously includes FREE cut files with many of her stamp sets! I finished the inside very simply with some of the Washi Tape stamps and left it otherwise blank for a personal message. 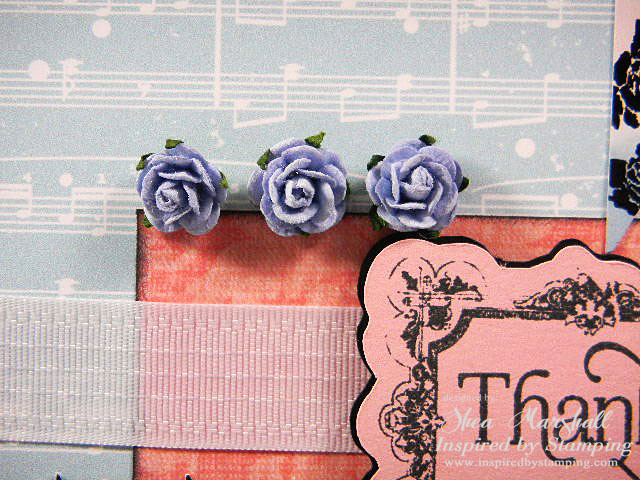 So do join us over at the Paper Secrets Sketch Challenge and let the gals see your interpretations! Thanks for visiting! That is a real stunner of a card...fantastic job! Love your interpretation of the sketch. It is always worth the hop to visit your posts! Gorgeous card, Shea! 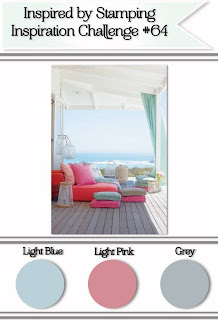 What a stunning color combination! Love it!